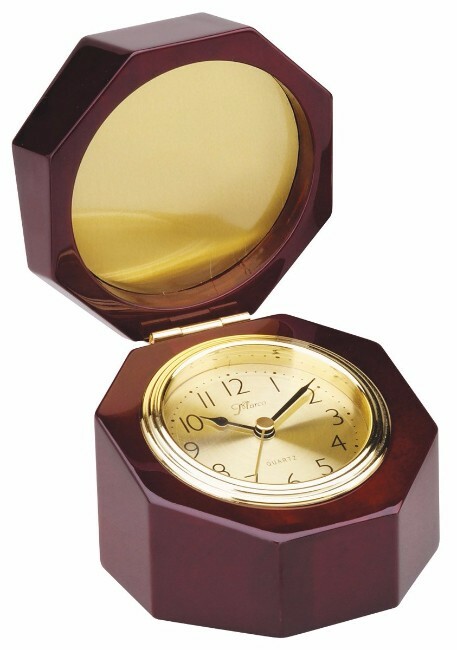 ROSEWOOD ARCH CLOCK AWARD, ELEGANT ROSEWOOD PIANO FINISH CLOCK. Precision Quartz Movement with Alarm. Individually Boxed INCLUDES A GOLD BRASS PLATE(4") FOR PERSONALIZATION. SIZE: 4¾” SQ. X 3½”QTY DISCOUNTS AVAILABLE.